ACE inhibitors are one of the most exciting and interesting of recent medical developments. They fit the patho-physiologica1 processes of cardiovascular disease with fascinating precision and are a constant stimulus to the acquisition of greater understanding of the mechanisms involved and of the mode of action of the drugs themselves. There is still much to be learned, especially about the wider effects of the drugs, their precise mode and site of action and about differences between the different preparations. 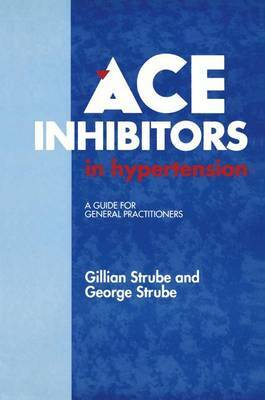 ACE inhibitors are of proven benefit to patients with chronic congestive heart failure and are the latest in the series of drugs used in the treatment of hypertension. Interest in the treatment of hypertension has paralleled the development of hypotensive drugs and the realisation that long-term prognosis could be significantly improved. The treatment of hypertension has progressed in stages following the development of a succession of increasingly effective drugs, each allowing a greater proportion of patients to be treated with fewer and fewer side-effects. First, the ganglion-blocking agents such as hexamethonium and guan- ethidine transformed the outlook for patients with malignant hypertension but proved too unpleasant for routine use in other forms of hypertension.